Harvest season is here and I’m excited to tell you about a new service we have available to our grain customers. 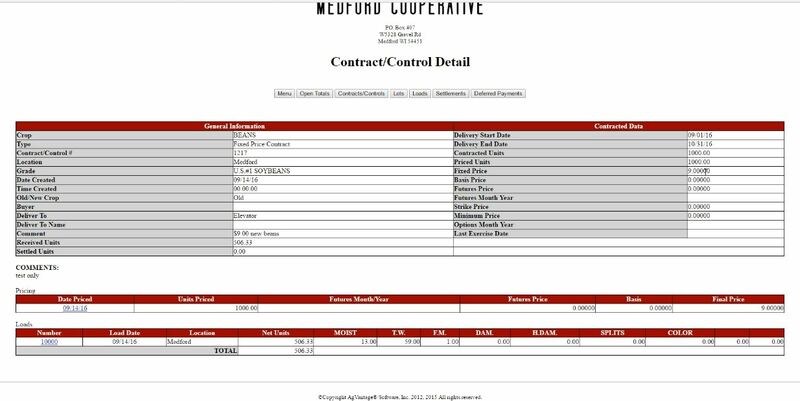 For the 2016 grain season, we have added a feature that allows you to view your account information including contracts, loads, and settlements right from your own computer at home. All you need to start using this product is a computer that has access to the internet. As always, if you ever have any questions, please give us a call.